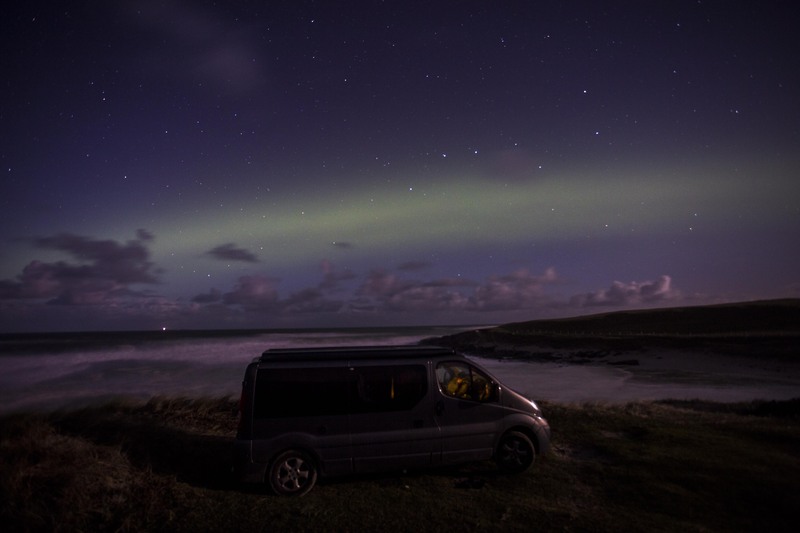 Not a photography blog post per se, but I thought I would jot down some of my experiences of having a campervan. My first van was a Mazda Bongo 2.5l v6 – drank fuel like it was going out fashion but went like snot. It was the perfect size for a family of 4 with young kids. The downside of any Bongo is that due to their age and the fact that they are an import they are a bit of a Labour of love in terms of servicing and repairing. That all said our van (called “Diggy” because our then 4 year old kids couldn’t pronounce “Dignity” – as in the Deacon Blue song) has taken us places we wouldn’t have gone if we didn’t have her. We’ve camped by castles and has beaches all to ourselves thanks to Diggy. Did I mention that it drank fuel – 250miles to a £70 tank….. But as with most things and after 6 years, all good things must come to an end. Keeping her on the road had become a burden and no longer a joy. I saw a long wheel base Vauxhall Vivaro campervan conversion on AutoTrader and 3 weeks later it was ours. With Bongos there is a degree of cachet (not anywhere as much as having a Vdub though) – other Bongo drivers wave at you/flash their lights/travel in impromptu convoy. You don’t get that with a Vivaro – it’s a ubiquitous multipurpose van seen everywhere throughout Europe. With that though comes easier servicing and cheaper parts though! The conversion for the Vivaro was reasonably good, though having had a Bongo with all its Japanese tech (electric raising roof, electric roller blinds and electric mirrors amongst other things) everything felt a bit manual and a bit of a backward step. That said we did have one thing the Bongo didn’t have – S P A C E. Lots of space (in comparison). And that in many ways was the big thing – the kids were 10 and not 4, so spending a rainy day in the van was turning in to World War 3 trying to keep everyone happy and content in such a small space. The new van (Vivi as it is called) goes a long way to fixing/addressing that problem. More on the van later, but here are a number of things to consider when thinking about getting a camper van. Are you going to use it as a you would a car? Perhaps an odd question, but if you are not maybe consider a motor home as they can be cheaper than campervans. We use our van as a 2nd car (I use it for driving to work some 40 miles away). It’s not something I would consider in a motorhome, even one based on a van chassis. Are you going to go “wild” camping? I chortle to myself about this term, as you are in a van with a degree of luxury compared to real wild camping. In this instance the term refers to not using campsites and perhaps going down the odd rutted track. Mobile homes are perhaps more self-contained than campervans – as they have on board loos and showers, but this has to be balanced against accessibility in to places. I’ve taken both the Bongo and Vivaro down tracks and through squeezes that would have been challenging for a motorhome. Space. Again a bit of campervan vs motorhome challenge. If you like your luxuries and space then go down the motorhome route. Campervanning requires a degree of compromise in the luxury stakes when compared to a motorhome and also in space. A big consideration I think if you have extra camera gear. For me if I’m travelling alone my camera gear is a lot more extensive than when I travel with the family (as they need to sit somewhere! 😊) A degree of discipline is required when in a campervan – especially with a family in tow – no “I’ll bring this just in case”. I use packing cubes to try and store things in as an efficient a way as possible. So far it appears to be working, as it can be quite frustrating to pull everything out and then try to neatly put things back in the same place. Getting a Vdub – Volkswagen Vans are lovely – there is a genuine romance about having one, images of an old split screen with surf boards on the roof and campfires on the beach come to mind. But…in my research you do pay a hefty premium for that. That maybe (if you listen to the guy who looks after my van now) is down to the build quality compared to say a Vivaro – plastic components vs metal etc. When we were looking at a new van, we saw a difference of over £10k between a converted van and a similar spec Vdub conversion – as ever – your mileage/experience may vary to mine. That’s the list for the moment – I may update it in the future. Happy to answer any questions in the comments below. We’ve taken our vans on to campsites and done “wild camping”. 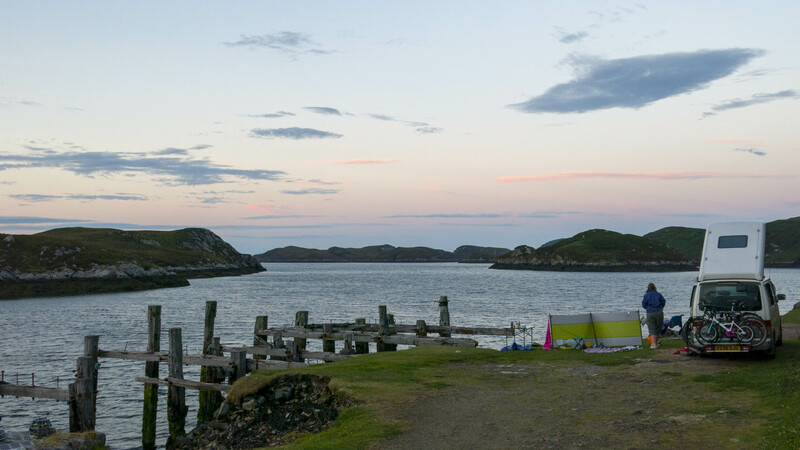 Wild camping is simply great, you pull up and that’s you for the night – though do spare a thought for others. 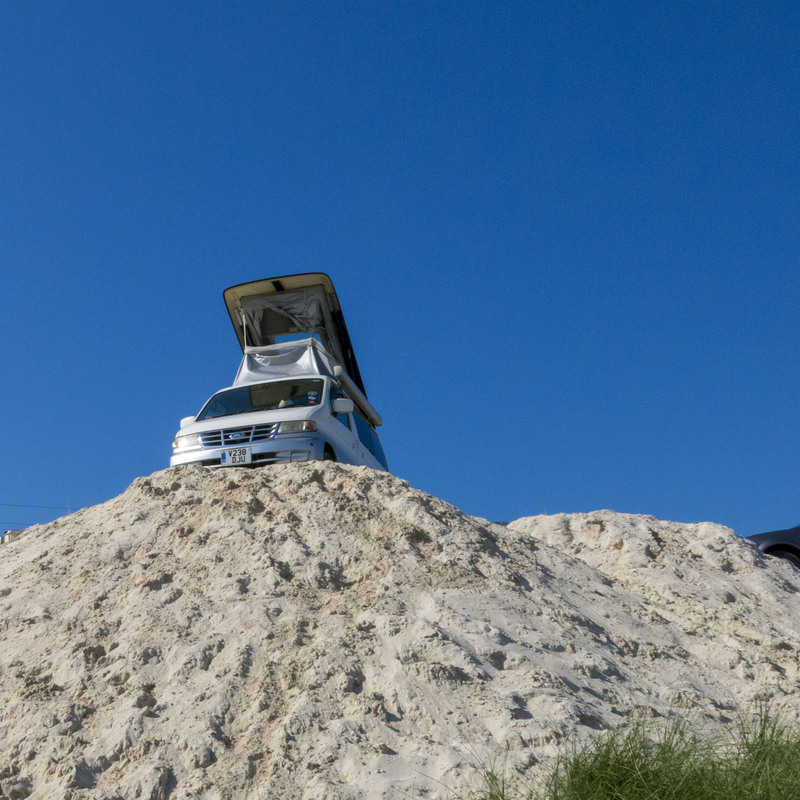 If you do have campervan related questions, please do not hesitate to ask them via the comments below. Thanks for your comments. There’s a lot to be said for VDubs, especially in terms I think of retaining their value for onward sale versus other van conversions. I’m sure despite spending an extra £4k on my Vivaro that I will never get that back or indeed purchase price if I tried to sell it now. Argh…my thoughts have been turning this way again as I need to do more travelling next year. I will be reading with interest!